As much as I love experimenting with new foods, there are times when all I want is comfort. If I’ve had a tough day and need a hug, I make a bowl of mashed potatoes with a side of cucumber salad. Or I whip up lacy crepes and eat them with plenty of sour cream and cherry jam. These dishes are old childhood favorites, and they always make me feel better. But over the years, I’ve added a new set of comfort foods to my repertoire. They range from my mother-in-law’s Indian sour lentil soups and vegetable stews to Vietnamese grilled pork on rice. And anything made with miso immediately qualifies as comfort food. What is it about miso that makes it so comforting? It might be its intensely savory flavor or the velvety, suave aftertaste; I’m not quite sure. All I know is that I love it. Miso paste is made by fermenting soybeans and/or other grains with salt and koji, a special starter. The result is the unique vitamin and protein rich condiment that has been used in Japan for centuries. The proportions of soybeans to other grains in the miso recipe will determine its flavor and color. There are numerous miso types, but the white (shiro) and red (aka) varieties are the most common. White miso, which is really golden yellow in hue, contains more rice than soybeans and has a mild, sweet flavor. By contrast, the soybean rich red miso is meaty, bold and salty. 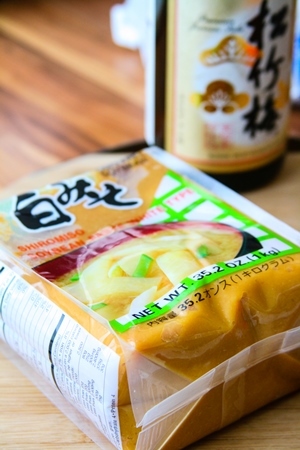 Although in the West miso tends to be associated with soup, this condiment is much more versatile. You can use it for sauces, marinades, dressings and even as a relish. Stir a spoonful into a cream of vegetable soup and notice how miso enhances the savory flavor. Mix miso with lemon juice and olive oil (no salt is needed) and use this sauce to dress bitter greens or crunchy lettuce. I especially like it with the distinctively non-Japanese Belgian endives and roasted Brussels sprouts. The marinade recipe I share today is one of the reasons why a tub of miso is a staple in my fridge. It makes for a quick preparation, and the results are invariably delicious. Miso marinated fish is a traditional recipe, but mine is a personal variation. White miso, which I recommend for this recipe, has a delicate fruity sweetness, and I’ve added both citrus and honey to enhance the flavor. I also like the warmth of chili pepper, and depending on your heat cravings, you can vary the amount. You can serve miso marinated salmon with rice, but I like it with mashed potatoes. It’s the ultimate marriage of old and new favorites. Other citrus varieties can be substituted for orange, such as lemon, grapefruit, tangerine, or the king of citrus, yuzu. You can use other types of fish for this recipe, and I’ve had good results using cod, snapper and monkfish. The marinade works just as well on eggplants, onions and zucchini. Serve with rice, mashed potatoes or baguette and a sautéed vegetable side dish. Mix together miso, honey, ginger, sake (if using), red chili pepper flakes, orange juice and zest. Pat the fish fillets dry and rub miso marinade on both sides. Place in a ziplock bag and marinate for 2 hours in the refrigerator, or for up to a day. Preheat the oven to 400F/200C and turn on the broiler. Line a sheet pan with foil and oil the foil lightly. Remove excess marinade from fillets. Place skin side down on the baking sheet. Broil for 10 minutes, or until the surface turns golden brown and caramelizes. The honey in the glaze burns easily, so watch it carefully. If the top is cooking too fast, while the insides remain raw, turn off the broiler and finish the fish in the oven. 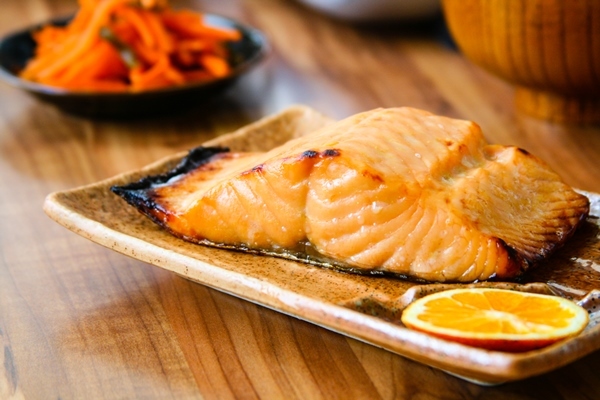 If using a grill, place the fish skin side down on the grill and cook for 3-4 minutes per side, for medium-rare. Anne of Green Gables: Thanks for the delicious recipe, Victoria. An idea for this weekend’s menu! I love Saba Miso (too bad that finding fresh mackerel is really difficult here) and I frequently make Salmon Teriyaki because it’s really quick and easy to make. I enjoy cooking but I don’t want to spend too much time on cooking after work. Ditto on the versatility of miso although I usually use Korean miso which has much stronger flavour. My best comfort food is rice with Korean miso soup and Kimchi. Victoria: At the Korean store I get miso that has bits of vegetables and green chili peppers, and I’ve used it previously in soups. One of my favorite Korean miso soups is with seaweed and beef. Actually, kimchi is another comfort food for me. The first time I’ve tasted it, it seemed so familiar. Probably, a flavor link with the Russian style pickled cabbage. Anne of Green Gables: I’m so sorry, Victoria! I don’t know why I missed ginger in the recipe. Using white wine is a great idea. Getting the right ingredents is also difficult for me so sometimes I have to improvise. Victoria: I will take a photo and ask for the exact name the next time I see it. The lady at the store just said that it was “Korean miso,” but who knows whether it’s her own creation or something regional. It certainly tastes like miso. Sorry, I mixed it up; the Korean seaweed-beef soup I make doesn’t contain miso. I just checked my friend’s recipe. Just beef, kelp, garlic, green onion and seasonings (soy, sesame, etc). How do you make yours? Anne of Green Gables: I’d be interested in knowing what kind of “Korean miso” you bought. It certainly sounds unusual. 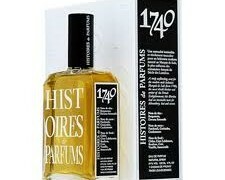 Did you buy it at the store in Rue de Tervaete 12? I think that’s the only Korean store in Brussels. There’s an online Korean supermarket based in Germany which I can highly recommend (they also deliver to other EU countries) but unfortunately, the website is in Korean. Victoria: I would love a link anyway. I can manage! Plus, I need a source for Korean ingredients. The store I go to is in Overijse, so it requires driving. Jillie: Mmmm … delicious. Ever since you recommended yuzu paste, I like to put that on top of salmon, and sprinkle miso over it too; they go together very well, and the taste is addictive! 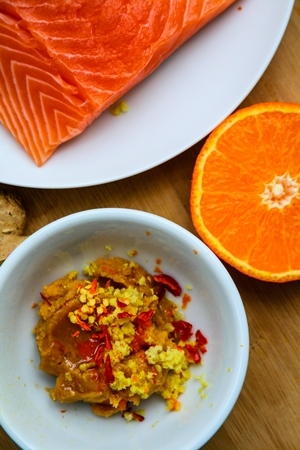 Victoria: This miso marinade works really well on eggplant, pumpkin and other vegetables. I sometimes marinate salmon and cubes of squash and then grill everything together. This way, I only need to make a salad and I have a complete meal. I observe the Lenten fast for 40 days each year (40 days of complete abstinence from all dairy and meat products), so I’ve adapted some my favorites to be vegetarian. 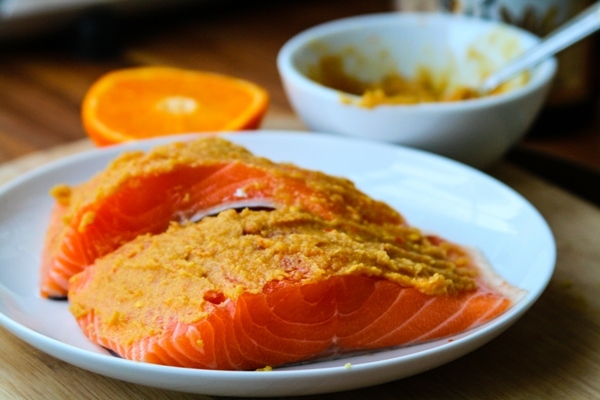 Annikky: I love salmon with Asian-inspired flavours and have quite a few variations in my repertoire, but somehow I only got round to making miso-marinated salmon a few months ago. It was delicious and I’m now curious to try it with added orange. Your version certainly looks prettier than mine! Madelyn E: Oh Victoria , Your recipe and the final product looks inviting and delicious . What is the difference between soy and miso ? 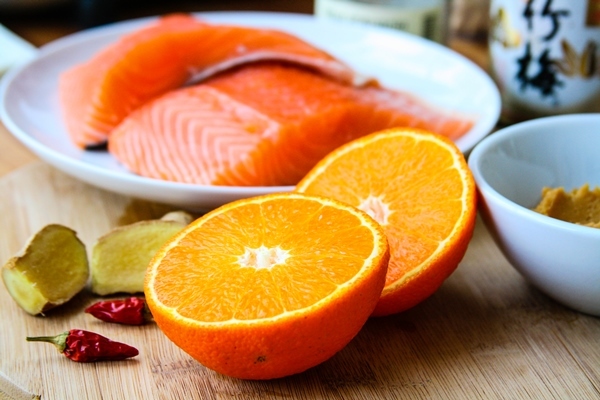 I have a similar recipe for salmon or chicken, Soy sauce, a mix of fresh lemon orange and lime juice , garlic and onion , sea salt , cilantro, olive oil . (fresh ) .Salmon filets are broiled and baked . Victoria: Soy sauce is also made by fermenting soybeans and other grains with koji, but the process is different and the result is a thin dark brown liquid. Miso, on the other hand, is a thick paste, and the flavor is much milder than that of soy sauce. They don’t taste the same, but in this recipe, if you don’t have miso, you can just go ahead and use soy sauce. It will be a different marinade, but also very good. Victoria: My Japanese friend serves this kind of miso sauce as a dip with crudités, and what a great idea. Kim B: Thanks for sharing the recipe – it sounds fantastic!! I too have been experimenting with miso and usually have at least 2 in the fridge.